Add on to any kit or order individual pieces a al cart to round out your setup. It's our immensely popular #1 Pod. 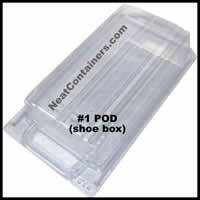 Perfect for women's shoes and a wide variety of "stuff" this Pod on will work with your existing setups to expand your storage capabilities. Attention men! While pair of mens' size 10 1/2 shoes can fit in this size pod, it's a tight fit and may be good when space requirements are trump. Otherwise, we recommend the #4: click here... 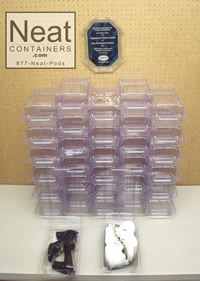 Check out the #4 a 12x12" pod.